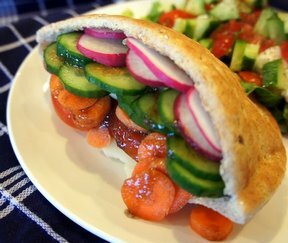 A light vegetarian sandwich with a refreshing salsa bean stuffing. It's best to make the bean salsa the night before, or at least a few hours ahead, so that the flavors blend to enhance the flavor. 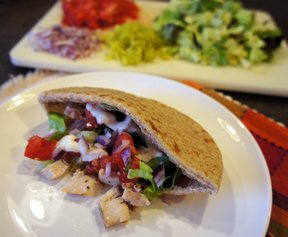 In a large bowl, combine all the ingredients, except the pita bread, and stir. Refrigerate to blend flavors overnight. 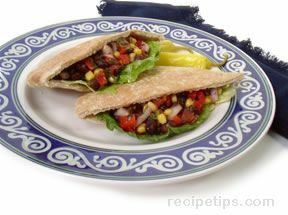 Fill pita pockets with about 1/2 cup of mixture or more as desired. 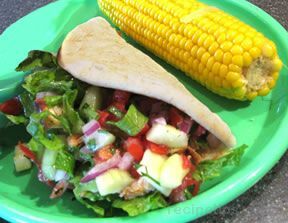 This recipe makes a large amount, and it is also great served as salsa with chips.